As the cooler weather arrives and the daylight hours are shortened, it is inevitable that more time is spent indoors. Does the interior of your home pass muster when you give it a critical eye, or could it use some freshening up? There is nothing like a whole-house paint job to brighten the rooms and your spirits as well. 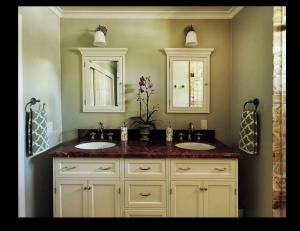 Painting, unlike redecorating, is a fairly inexpensive way to get a home makeover. Of course, everyone knows that painting your home could be a DIY project, but do you really want to spend all your free time perusing paint samples, patching or prepping the walls and painting two coats for every single room? Why not treat yourself and have a pro do the job for you? An experienced interior painting contractor here in the ______________, New Jersey area will not only consult with you to choose the best colors and type of paint for the individual rooms, but will expertly apply that paint and finish up the job in much less time than you could ever hope to accomplish this chore. While you mull over contacting a professional painter versus doing it yourself, here are a handful of hints as you bring that idea to fruition. Before you plan the job in earnest, arm yourself with the facts. Another tip to factor in when computing how much paint will be needed for your project, is that semi-gloss and eggshell paint finishes will go further than flat paint, and a gallon of high-gloss paint will go alot further than a gallon of flat paint. Perusing the palette of colors. What paint finish should you pick? Matte enamel. Matte enamel is very much like matte paint, only more durable and it is an especially popular finish if you have young children or for the kitchen, where, in both instances, you might need to regularly wipe the walls down. The visual effect is similar to matte paint and it can applied with a brush or roller. Since it is easy to clean, it rarely needs retouching. High-gloss. Like its counter-part flat/matte finish, gloss paint shares equal billing as the most-common interior wall paint. You can use gloss-style paint on any type of wall, although most people prefer to use it strictly on the woodwork because of its high shine. It is an ideal paint finish choice for rooms that get alot of wear and tear and it is scrubbable. Be careful not to use gloss paint if you have wall imperfections as it will enhance every one of them. Usually two coats are needed to achieve even and complete coverage and drying time is extremely lengthy. Oil-Based. For interior painting, an oil-based paint has its pros and cons. Professional painters prefer this type of paint because, despite its extremely lengthy complete drying time, that long drying time allows the paint to cure and flatten out all brush marks. It is an odiferous paint for application as well as cleanup – the odor is very strong and lingers for a long time for the paint as well as clean-up of brushes which must be rinsed with mineral spirits or turpentine. If a family member has breathing problems or if you are painting with this petroleum-based paint when the windows cannot be opened fully, it might be problematic for them. If you choose to use oil-based paint, the durability is very good and it may be applied on primed walls, woodwork or previously painted surfaces.